Just around a year ago, OnePlus made headlines by racking up an astonishing 343 percent growth in 2017 (source: Counterpoint). This year, the IDC India Smartphone Pulse survey reveals that OnePlus has dethroned giants such as Samsung by becoming India’s preferred premium Android smartphone brand. But that doesn’t really come as a surprise to anyone who’s been following the new OnePlus 6T and its many variants — when you have people queuing up outside stores on launch day, you know it’s a Big Deal (caps intentional). As per the findings of the survey, an astonishing 90 percent of OnePlus buyers said it was their first choice. Frankly, it’s rare seeing this level of confidence in a product — you’d imagine people would look around, compare, and then make a decision. But in OnePlus’ case, the product — and brand — are obviously stellar and that people didn’t really need any convincing. Trust is key, as we all know, and it seems that Indian smartphone users trust OnePlus a lot. According to IDC, high amounts of RAM and processing power rank on top of users’ wishlists when it comes to a new phone. That’s probably a vital factor in OnePlus’ success — the new OnePlus 6T offers 6GB and 8GB variants, with the new McLaren Edition bundling a whopping 10GB RAM. Meanwhile, the use of Qualcomm’s flagship Snapdragon 845 ensures you get the fastest processor and GPU around. All smartphones aren’t equal. And the OnePlus offerings have always stood out from the crowd because of their power-packed spec sheet. 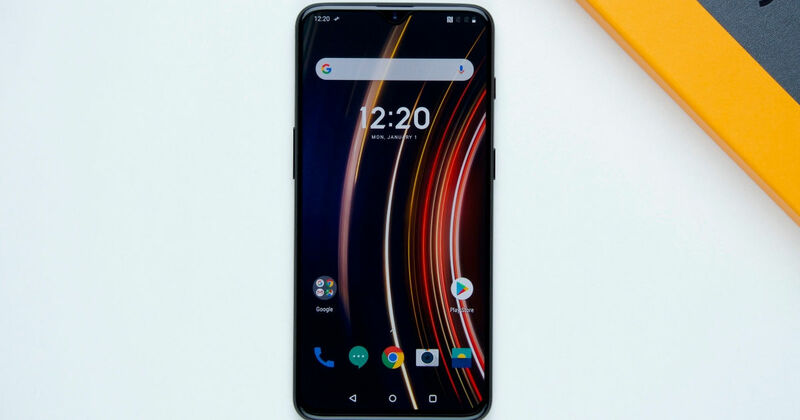 The OnePlus 6T is no different as it comes with 16 + 20 MP dual cameras, an Optic AMOLED 6.41-inch display with a teardrop notch, fast charging (and Warp Charge 30 for the McLaren Edition), the hardware alert slider, Dirac HD and Power Sound, and of course, the next-gen under-display fingerprint scanner… that’s why 17 percent users put down ‘features’ as the top reason for choosing a OnePlus device. The IDC Smartphone Pulse survey also revealed that OxygenOS was an attraction — with 12 percent users naming this as their top reason for picking a OnePlus device. We’d agree with them, considering how OxygenOS marries clean, intuitive stock Android with OnePlus-specific features and speedy updates. In essence, the best of both worlds. According to Upasana Joshi, Associate Research Manager at IDC India, word of mouth is still the most important factor when it comes to smartphone buying behavior. “This has been a key factor for success of brands like OnePlus with their unique go to market approach and spreading the word of mouth augmented by dedicated fan-based community,” she added. Not surprising considering how OnePlus treats its buyers not as ‘one-off’ cases but as long-term partners — a community app, frequent meet-ups, and special merchandise (such as the Explorer backpack) just drive home this point.